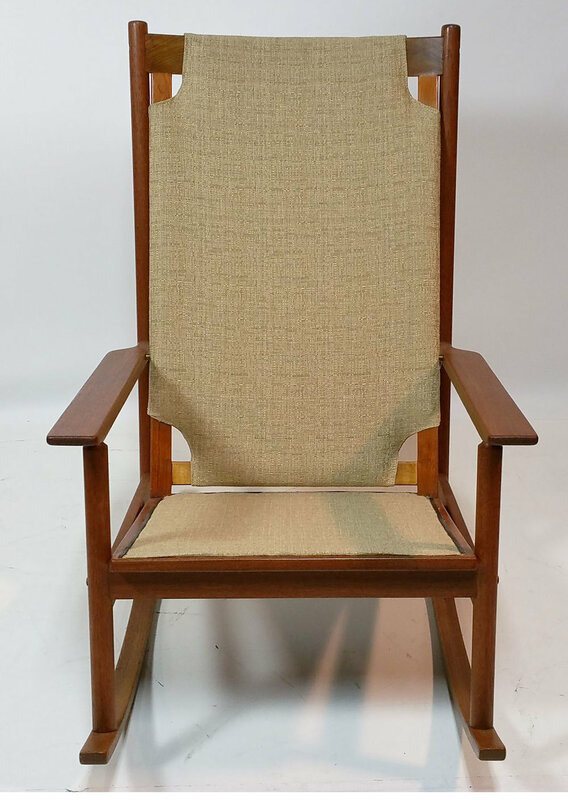 Vintage 60's teak rocking chair with fully upholstered seat & back, including head rest pillow.Completely restored with new upholstery and fabric. The wood frame has been refinished. 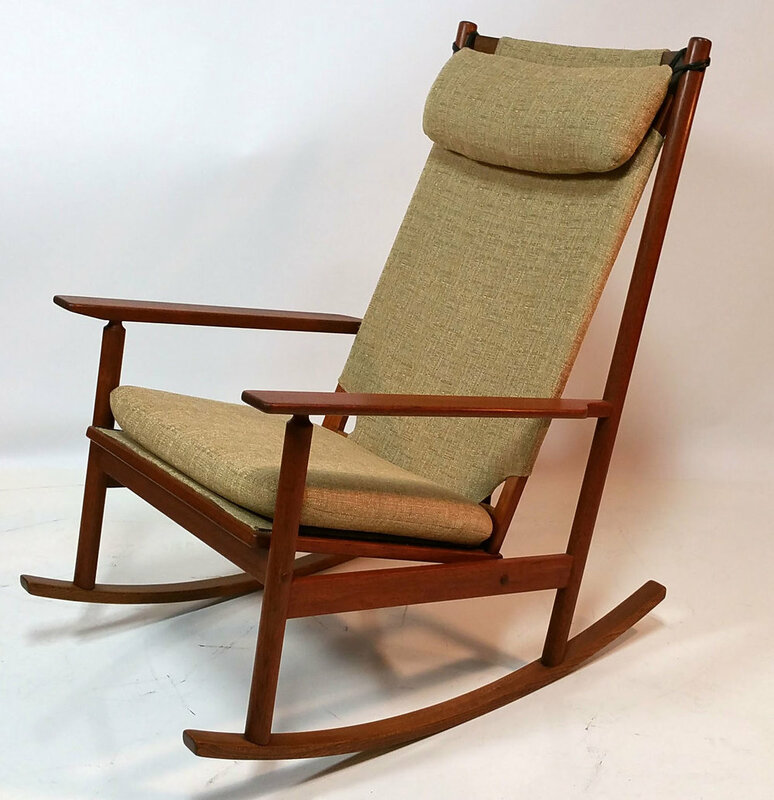 A classic Danish modern Hans Olsen design.